The Rams beat the Beavers in the NCAA tournament's first round and will face the winner of Oklahoma and CSU Bakersfield. No. 10 VCU took a 13-point lead, its largest advantage of the afternoon, with just under two minutes remaining on Friday en route to a 75–67 win over No. 7 Oregon State in the opening round of the West region. The Rams opened their first double-digit lead at the beginning of the second half and then weathered a 14–2 Oregon State run, in which they briefly relinquished the lead, midway through the half. Junior forward Mo Alie-Cox (20 points, eight rebounds) and junior guard JeQuan Lewis (21 points, eight assists) paced VCU, while the Beavers, who were making their first NCAA tournament appearance since 1990, were led by Gary Payton II’s 19 points, six rebounds, four assists and four steals. VCU first-year head coach Will Wade had a tough act to follow this season. The former VCU assistant and Chattanooga coach took over the Rams from Shaka Smart, the man responsible for taking the Rams to five consecutive NCAA tournament appearances (including the program’s first and only Final Four in 2011) before departing for Texas. While Smart has gone, the defensive fundamentals he imposed (though not his Havoc press system) are still mostly evident, as VCU entered Friday with the No. 21 defense in adjusted efficiency, according to kenpom.com. The Rams needed all the help they could get defensively because their offense outside of the low post was far from reassuring. They did finish shooting 48.2% from the field, but they shot a miserable 20.0% from three-point range and had nearly as many turnovers (12) as assists (13). It may have been enough to escape Oregon State, but that’s not a formula VCU can expect to rely on moving forward. 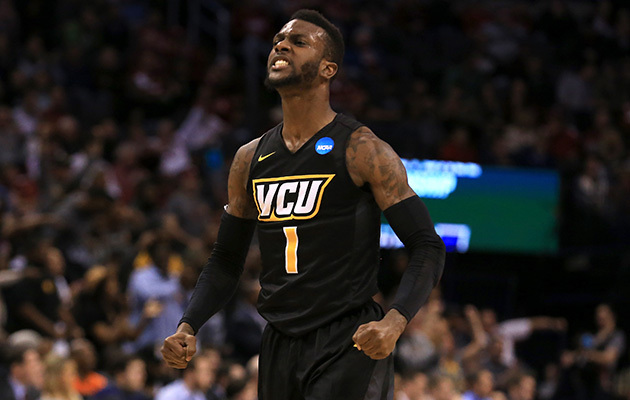 VCU will face the winner of No. 2 seed Oklahoma and No. 15 CSU Bakersfield on Sunday. The Rams will undoubtedly be expecting to face All-America guard Buddy Hield and the Sooners, who boast top-20 units in adjusted efficiency on both offense and defense.